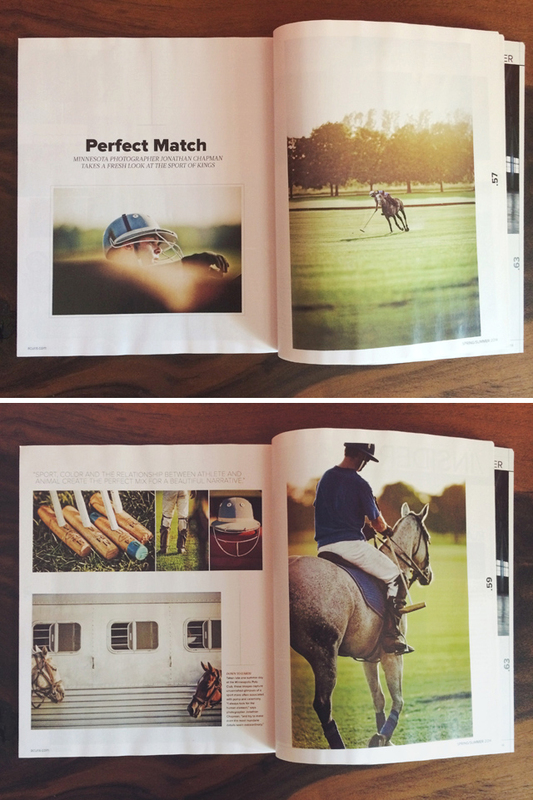 "Perfect Match, Minnesota Photographer Jonathan Chapman Takes A Fresh Look At The Sport of Kings..."
So goes the title and intro to a visual profile featured in Acura's "Style" magazine. The story highlights a collection of JCP images that showcase the sport of polo. The creative director from Acura's quarterly magazine reached out earlier this year inquiring about a collection of work we had produced highlighting the sport of polo. In addition to licensing several of the images, they interviewed myself about my process and approach to shooting. It's always a welcomed compliment to have your work picked up for placement and acknowledgement of one's craft in a venue such as this. In a world of all things digital, it's sweet to see one's work in print. Even sweeter paried with a brand such as Acura.